Seriously? Am I the only one who didn’t know about the EPIC reading tool? Remember that one time when all your friends went out, had a great time, came back, saw you sitting on your lonely bean bag, and acted surprised? “I thought someone asked you to come along,” they said. “We just figured you were in the other car,” they said. Right. I love you too. I felt a little like that about a week ago. I had just learned all about this great free online tool and was pumped. This tool is free. It’s easy to use. It helps connect social studies content with fiction and nonfiction resources. So I got up during our PLC’s show and tell time to share, asked if anyone else was using it, and I got thumbs up from literally everyone in the room. Yup. I love you too. I am glad that so many already know about it. And are using it. Cause it really seems like a great tool to have handy in your teaching tool belt – especially as we’re all trying to integrate more social studies and ELA. But where was I when everyone else was finding out about it? So if you already know all about EPIC, it’s okay to move along. (And if you’re high school, stick around so you can share this later with your K-6 friends. You know . . . so you’ll look smart.) I’m finding out that a ton of elementary teachers are already using the tool. But it’s just so cool I want to make sure that if you don’t know about it, that you don’t get left behind on your bean bag. EPIC is basically an on-demand digital library with over 25,000 books and videos perfect for kids between the ages of five and twelve. 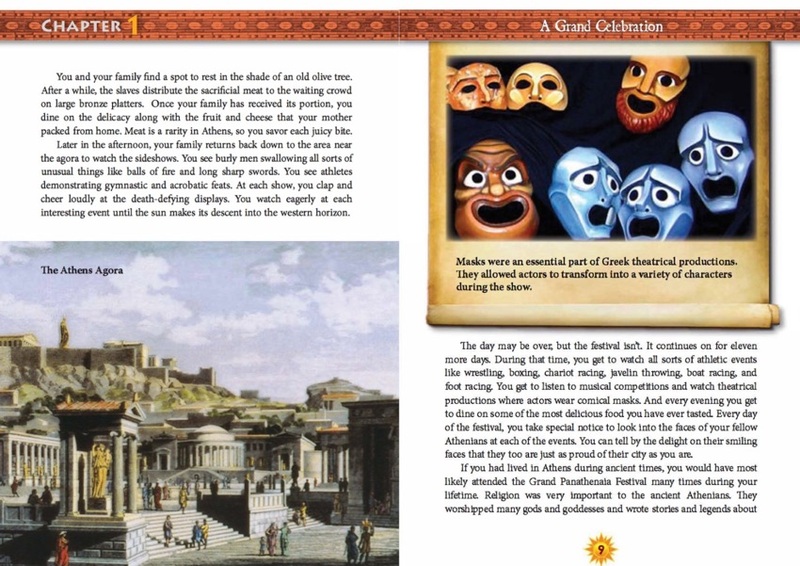 Some have audio components, allowing your kiddos to listen as they follow along as words and sentences are highlighted. 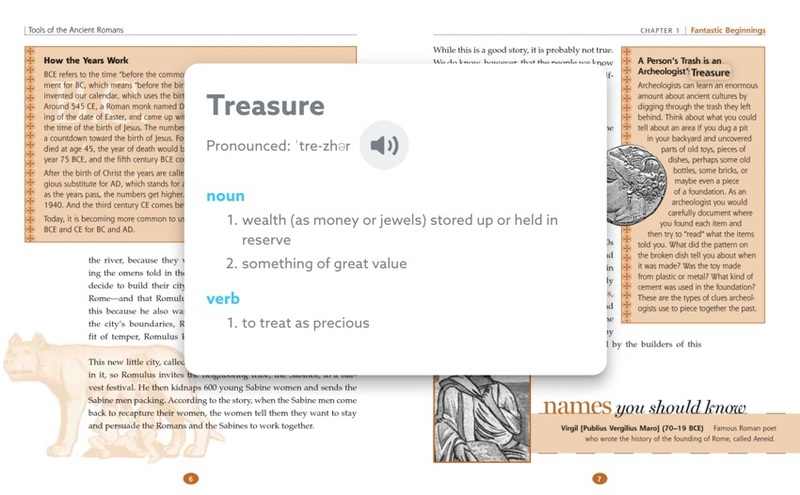 Readers can click on unfamiliar words and get definitions and pronunciations. You can also get mobile apps across all devices as well as the traditional website. It seems as if most of what is available is from well-known authors and major publishers with bilingual selections also available in Spanish/English, Chinese/English, and French/English. Of course, we already know that every book is a social studies book but there’s a solid History selection already set up to get you started. There are two account types here: the paid $8 per month parent version and the free, yup free, teacher version. It’s super easy to sign up as an educator with a Google Apps for Education single sign on option or via email. Once you’re in, you can set up classes that your kids join with a code, create collections, quizzes, and activities designed just for your kids. 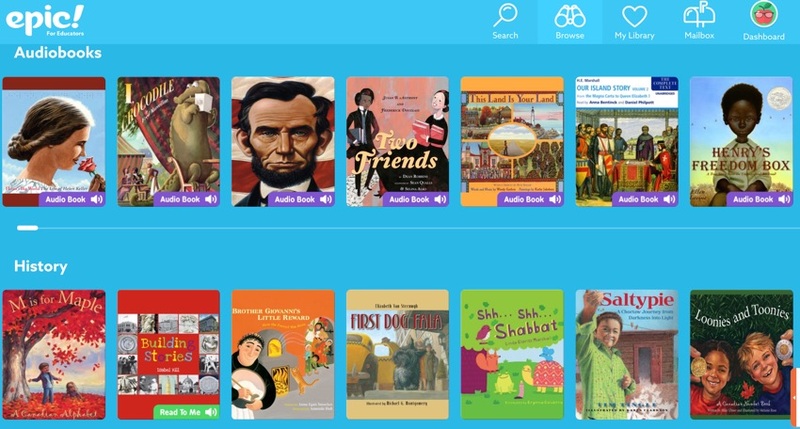 You and students can search by subject, genre, and age, and some are audio or read-to-me versions where kids can follow along with highlighted words. 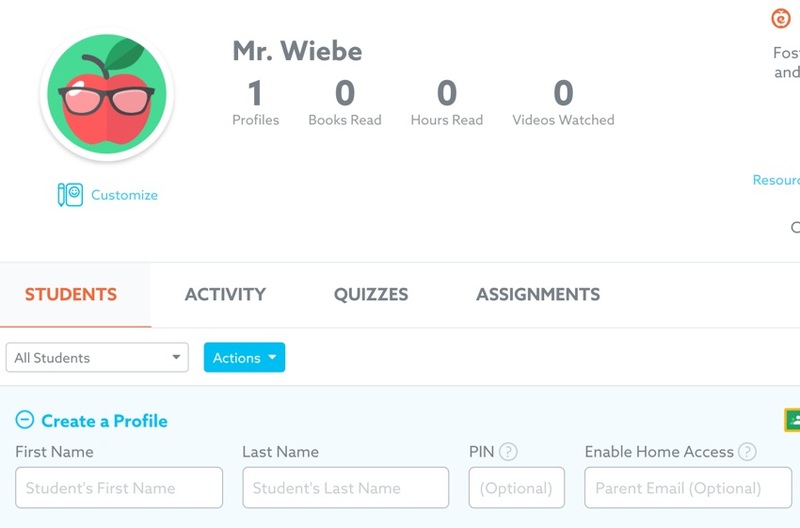 You can track student reading stats, kids can get badges, opinions can be safely posted. What’s not to like? So if you’re new to EPIC, head over and get your free account set up. If you already know all about, how about sharing with your friends?